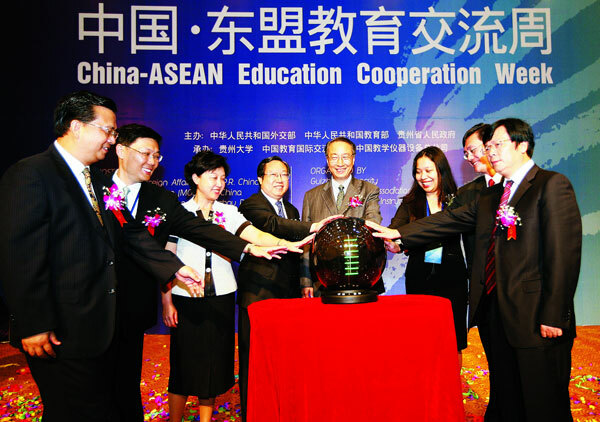 Under the sponsorship of Ministry of Foreign Affairs of the P.R.China,Ministry of Education of the P.R.China and the People's Government of Guizhou Province, the China-ASEAN Education Cooperation Week (CAECW)has been held annually since 2008. The CAECW has become an important and renowned regional platform for China and ASEAN to develop educational cooperation and exchange, as well as to enhance better understanding and friendship. 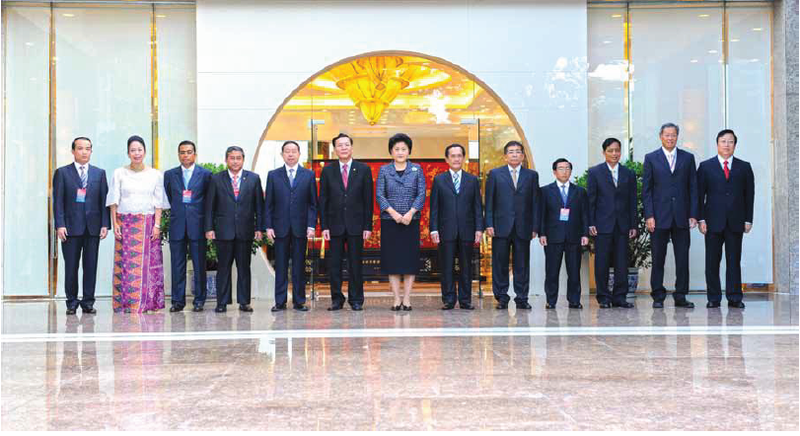 In the past 6 years, the CAECW has attracted over 3,700 participants from 800 governmental organs, schools, colleges or universities,educational organizations,media as well as enterprises from ASEAN countries and China, with 371 cooperation agreements and memorandums of understanding signed. The CAECW has accommodated as many as 48 activities, including Education Minister Roundtable Conference, University Rector Forms, Seminars, Educational Exhibitions, Youth Sports Festivals, Youth Summer Camps and Food Festivals, etc. These activities provided a broad and effective platform for China-ASEAN educational and cultural exchanges.